Will Rabjohns, perhaps the most famous wildlife photographer in the world, has made his reputation chronicling the fates of endangered species. But after a terrible accident, Will is left in a coma. And in its depths, he revisits the wildernesses of his youth and relives his life with a mysterious couple who have influenced his life as an artist and a man. When Will awakens, he sets out on a journey of self-discovery - one where he will penetrate the ultimate mystery and finally unlock the secret of his destiny. Soaring, provocative and passionate, Sacrament is a masterwork from the pen of one of today's most acclaimed authors. Super enjoyable. Got through it much faster than I expected because once it got going I was listening to it any free moment I had. Already I wish it wasn't over. Barker writes fantasy with equal finesse to his horror works. Only once did it give me pause to remember his horror writing. The voice actor was successfully dynamic and enjoyable to listen to. 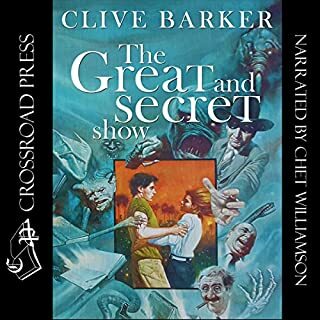 This was the first Clive Barker novel I ever read but it wasn't the last. 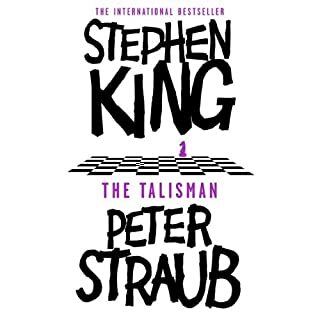 Rereading this tale as an audible book has not lost it's splender, it's only added to it. Now being able to sit back , listen and enjoy rather than read is akin to being a passenger. Thereby, watching world's between world's and in world's unfold before you. 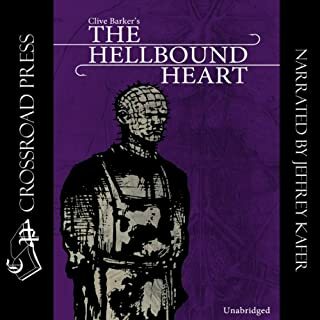 Able to devour every bit of Clive Barker's imagination and description without losing a heart beat. Amazing! As usual Simon Vance is terrific. He has a real mastery of characters and narration. 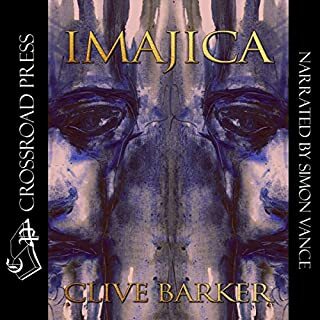 His ability to narrate tales ranging from Sci Fi, fantasy, mystery, crime, as well as Dickens, Stoker and of course Clive Barker (and more!) is truly remarkable. One of my favorites! 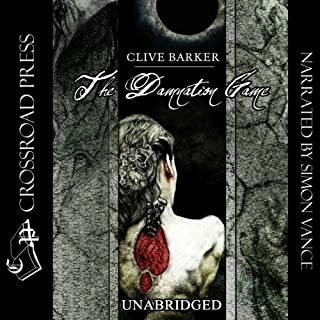 Raw and dark fantasy from Clive Barker. A great story and wonderful narration by Mr. Simon Vance. Maybe not as polished as some of Barker's other works, but a grand modern fairytale nonetheless. Epic in scale and weight. Would you listen to Weaveworld again? Why? This read has a lot of story and sometimes I felt as if I missed something. Definitely have it on the list to read again. What was one of the most memorable moments of Weaveworld? The steady ness of his voice. When he is speaking as a woman you dont think about the person trying to be a woman. Just the person in the story. His voice has tempo and seems to sing at just the right time. Its as if he wrote the story. So much so that im sad it ended. The narrator did a wonderful job. The story is superb. I recommend to anyone who is into fantasy and magical worlds. Unique and imaginative story, a true work of art. The narrator was wonderful, great characterizations and even did women's voices believably. 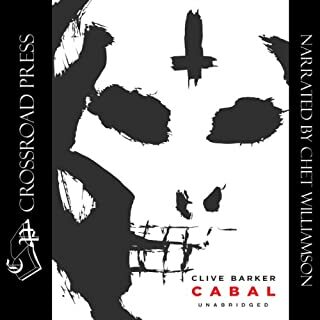 This book was recommended to me by a fan of Clive Barker as a great first book to experience and I honestly struggled to finish it. The set up was simple, fairies hid from the world to escape mankind and the fairy killer, an unlucky couple frees them from their hiding place, and a bunch of people interact while failing to make you care about any of them. From the main villain, who isn't really a main villain because she is too weak to control her lackeys, to a secret back up villain who takes far too long to appear, and finally a lackey who hired his own lackeys that lack as much as him. I never once felt the motivation for any of the characters, from a detective who is bad because... well I am not sure, too a jaded fairy who wants to watch the world burn simply because she wasn't allowed to be part of the rug, and finally a crazy nothingness that is just sad and angry it lost its charge. I had a hard time finishing Weaveworld and found myself paying more attention to house chores hoping to hear the ending credits so I could move on to a better read. I am not feeling the urge to try anything else from Clive Barker which is rather unfortunate. Worth it, but not amazing. The story meandered and that might seem good because the book is called Weaveworld, but it wasn't in a meta way. It was more the kind of meandering like when you take a winding path through not so impressive scenery that seems like it will blow your mind around the next corner and never does. Ecerything about this bookmwas almost there. The characters were fleshed out just enough so that you almost cared about them, but not quite. Barker doesn't succeed in connecting the rrader to the fugue to make it a place worth saving, which is the entire goal of the book, so everything on the way to that goal falls flat. It is very imaginative and there are patches where Barker writes this beautiful, poetic prose, the kind of which everlasting platitudes are born because they feel so true to deeper truths of existence. For that reason, I think the novel is worth the read, but don't go into thinking it's going to be as good as Imajica. I was excited about this book due to other reviews.. what can I say? I don't get it. I restarted the book 3 times trying to get a hold on it. fairly predictable and boring. long winded and made up words. Simon Vince as always is great. 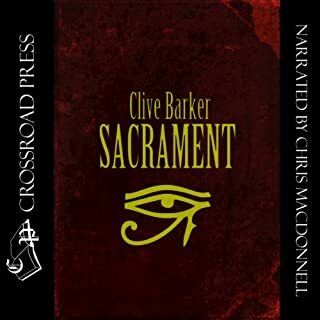 I'm bias, Clive Barker is my favorite author, but this story is such an amazing piece of fantasy! the world building and richness of the characters is astounding, and the reading is equally as great! I loved the character voices and personality in each. if you like epic style fantasy in a modern setting, this book is just for you! 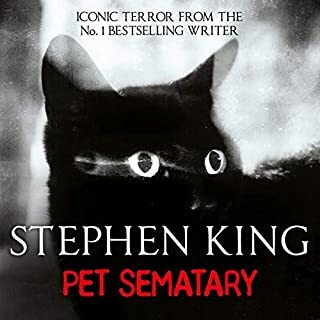 this is probably my favorite narrator and I got this book because of imajica, by the same author which he also narrated. both stories are so enthralling and emotional and adventurous and unique, and with both I cried both tears of sadness and tears of joy. I am not usually prone to tears, but these have been the best books I think I've ever read. Superb story read by excellent narrator. 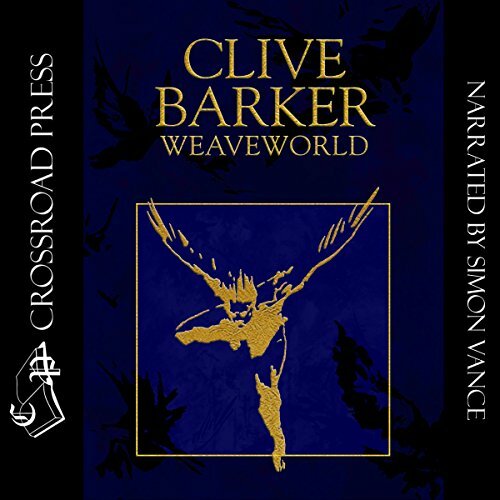 Weaveworld has always been a favourite story of mine, I got my hardback signed by Clive Barker at the Forbidden Planet bookshop in London years ago, The audio version is amazing and highly recommended. 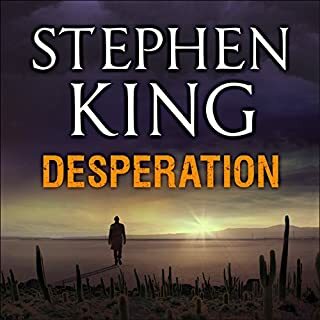 Now Audible, can we please have The Damnation Game, The Great and Secret show, Everville, and Imajica as soon as possible please! 25 years. Or more, and after all that time I still had vivid memories of it such is the impact it had on me then. I was slightly scared going back in after all this time, I've ruined some of my fondest old memories by re-watching old tv shows but in the end I could not resist one more look at the old carpet and I was not disappointed. Some of the accents were mildly annoying when I first started but I soon settled in and actually enjoyed the characterisation by the time I got to the end. Anyway, decent though the performance was it is irrelevant really, this is all about the story. A beautifull woven fairytale with allegory both subtle and bold and wonderfully written snippets describing a wondrousl world. I have almost literally been somewhere else for the last 20 or so hours, laughing inside at the other commuters who have no idea I have another world in my headphones. Where does Weaveworld rank among all the audiobooks you’ve listened to so far? I looked forward to this one more than most. I have getting on for twenty audible titles in my library, about half of which, I'd read at some point, usually many years ago. Weaveworld was one of those that I was revisiting. It's an exceptionally good story, narrated by an adequate reader. It's the best Clive Barker I've encountered. 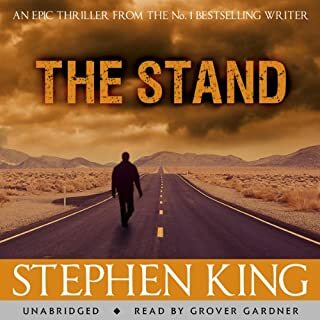 One of the best I've ever read in any format, and as an unabridged audiobook, it retains everything from what I remember reading. The narrator uses only a small range of accents. That the voices don't agree with my mind's ear is inevitable, but the lack of range was noticeable, particularly in the dialogue. The narrator is not local, and that quickly becomes apparent if you're reading this from the perspective of someone who lives in the area. Specifically, the pronunciation of "Thurstaston" was jarringly inauthentic. Not something that would matter to a listener from even 50 miles away, but it stopped me in my tracks. The stress is on the first syllable, not the second. THURstaston, not Thurst ASTon. 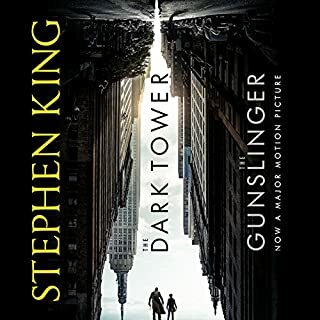 I was listening to this audiobook in my room, and my wife came in. 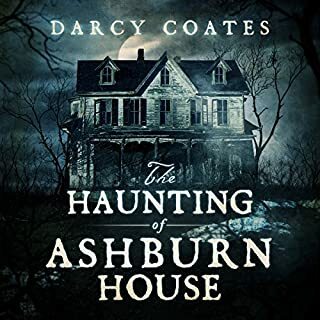 She'd been in the room next door, reading, and generally ignoring the muffled sound of this audiobook, but she too had been distracted by the obviously fake and forced Scouse accent. If Scouse was halfway between Irish and Brummie, the voice would have been spot on, but it isn't, and while a less local listener would either not have noticed, or could have shrugged it off, for me it detracted from the overall experience. None of the books I want to listen to are intended to be listened to in one sitting. I travel locally between clients in my car, and get perhaps 15-20 minute slots of story. 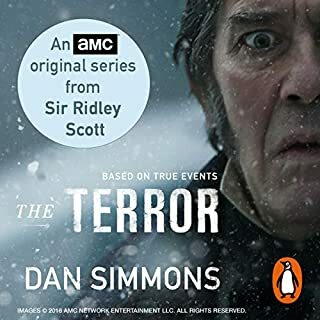 For reasons that are probably almost entirely beyond Audible's control, almost all of the audiobooks on my ipod fail to work properly in my car, so I've been listening to this on my PC instead. It's too long to even consider listening to in one sitting, unless I planned to either sit or drive for a ridiculously long time. 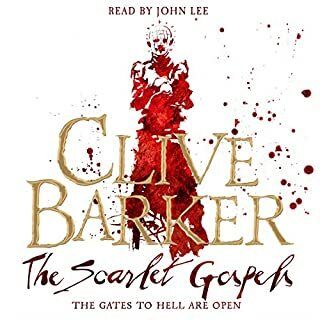 The introduction, where Clive Barker recaps his own thoughts, ideas, and feelings about Weaveworld, many years after it was written and released were informative, interesting and thought provoking. 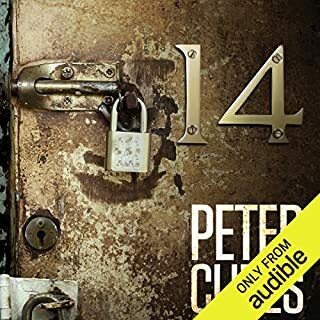 I was happy having the audiobook assessable on this app as reading it was going to be troublesome. Brilliantly read, I foud this very captivating. Clive Barker's opening was a real treat. Simon Vance, normally good. Attempting the Liverpool accent via Birmingham, Glasgow and Manchester. So trying to enjoy, but seriously off putting. A beautiful novel perfectly brought to life by the narrator. My first time back to it in over twenty years and every bit as brilliant and vivid as I remembered. Yes. Because it is very good. 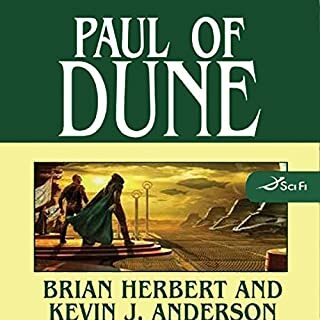 What other book might you compare Weaveworld to, and why? The Damnation Game, for sheer imagination; though the two are very different. 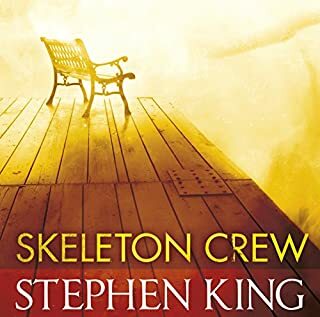 This is the novel where Barker began to move away from horror and into dark fantasy; though horror fans need not lament, it is still horrific.